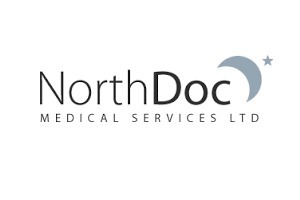 Northdoc provides doctors for D Doc, the out of hours GP care or surgery for patients in North Dublin with urgent medical problems who need to contact a doctor after GP surgeries close. The service operates from 18:00 hrs through 08:00 hrs Monday to Friday and 24 hours Saturday, Sunday and all bank and public holidays. In areas of social deprivation, the OOH service is a lifeline to those parts of the community whose needs are particularly complex and aggravated by poor social conditions and difficult personal circumstances. The OOH setting provides continuity of the daytime GP care on which that these particularly vulnerable patients depend. Many Northdoc GP practices are in the most deprived areas of Dublin and Northdoc seeks to support these practices in both the out of hours GP services we provide and through advocacy on the issues that most challenge health providers in the community. It would be a very costly mistake, both in financial and social terms, to assess the value of out of hours provision in isolation, simply by focusing on call centres, numbers of patients seen by category, clinical software and KPI’s based on ‘response times’, and numbers of patients seen by hour or location. This approach would perilously ignore the benefits of a service embedded in the local health community and the people it serves. There is a social value to GP led OOH provision and there is an economic value when its relationship to secondary care and social impact is considered. For more information on our model of out of hours care in place in North Dublin, see The Health Service Executive GP out of hours Review Group on the future provision of GP out of hours services.